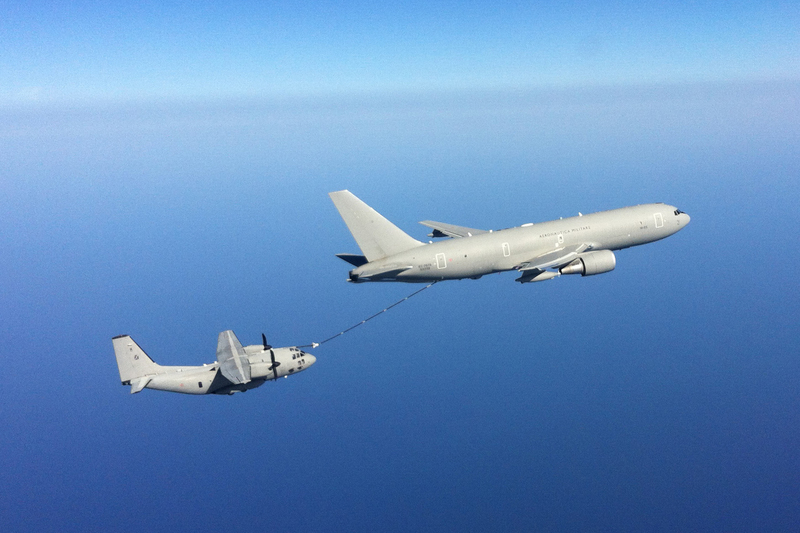 The following images show the first air-to-air refueling tests conducted by an Alenia Aermacchi C-27J with an Italian Air Force’s Boeing KC-767A tanker. The testing campaign took place at Pratica di Mare airbase, near Rome, in collaboration with the 14° Stormo (Wing), Alenia Aermacchi, Rolls Royce and Dowty, the latter two responsible respectively for the engines and propellers of the aircraft. The flight tests were conducted at various altitudes, between 10,000 and 20,000 feet, and speed up to 220 knots, and also included night aerial refueling with the aid of Night Vision Goggles as well as plugs with the refueling basket in turbulence and during emergency descent. The aircraft used for these tests, piloted by Alenia Aermacchi test aircrew, was modified with the integration of a complex instrumentation dedicated to controlling the engine parameters, propellers, transfer of fuel and flight controls, in order to meet the requirements requested by the military certification. The objective of these test was to achieve the certification of the in-flight refueling system, that has been adopted on the 12 C-27Js in service with the 46^ Brigata Aerea (Air Brigade) in Italy and on one of the three examples in service with the Lithuanian Air Force. 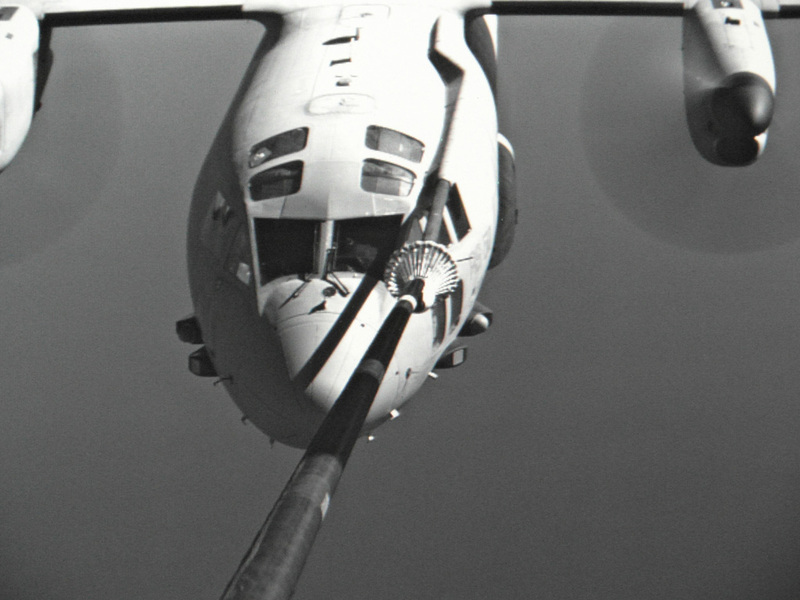 Dealing the the KC-767, it proved its flexibility by refueling the Italian cargo plane with the hose and drogue system after it successfully completed buddy refueling tests using the flying boom.